Downtown ATL apartments, just steps from GSU! Where can 200 steps take you? 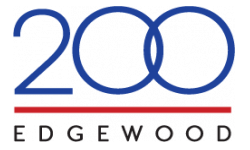 200 Edgewood offers brand new apartments with the best of downtown Atlanta right outside your front door. Welcome to 200 Edgewood, with upscale apartments located just steps away from the best that Downtown Atlanta and the historic Edgewood arts district have to offer. At 200 Edgewood we are committed to providing the best in customer service and convenience, featuring modern furniture options and high end finishes in a brand new community. Say "Goodbye" to your commute to class or the office, and "Hello" to eclectic food options, nightlife, Georgia State University's main campus, and Atlanta's bustling cultural and artistic center all right outside your front door. Residents at 200 Edgewood enjoy an active lifestyle. We offer you a state-of-the-art gym, community co-working lounges available 24 hours a day, and meeting rooms with free printing. Did we mention our complimentary coffee bar and community events? Schedule a tour at 200 Edgewood for yourself and see why we're the perfect choice for downtown Atlanta living.